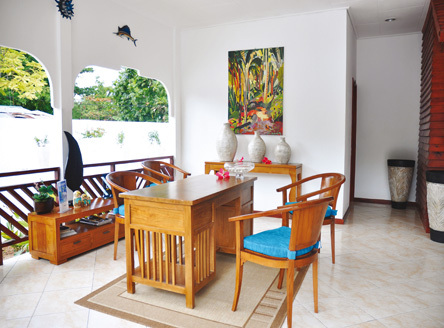 Situated on Grand Anse Beach, facing the tiny islands of Cousine and Cousin, this small but delightful well-furnished property offers a good standard of accommodation. 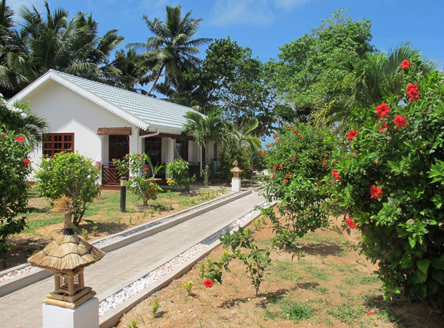 A member of the tourist boards "Seychelles Secrets" group of small hotels, it is set on Praslin's west coast, a haven of peace and tranquillity, close to the heart of Grand Anse village. 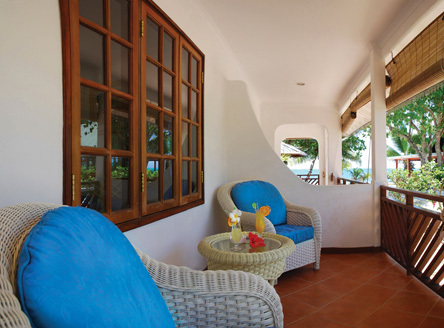 The beachside accommodation is in single-storey chalet-style buildings, all close to the lovely swimming pool, which is set in the tropical garden. 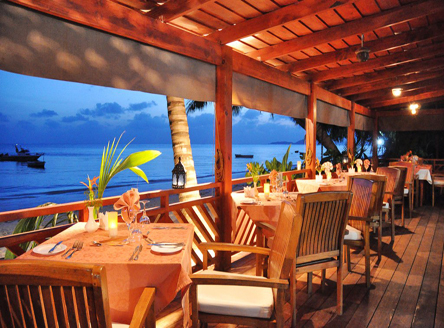 The beachside restaurant serves Creole and International cuisine. For golfers, the Lemuria golf course is just a five minute drive away, while the unique Vallée de Mai National Park on Praslin should not be missed with its rare species of fauna and flora. Inter-island flight from Mahé to Praslin and then road - approx. 20 minutes, OR; inter-island boat from Mahé to Praslin and then road - approx. 1 hour 20 minutes. 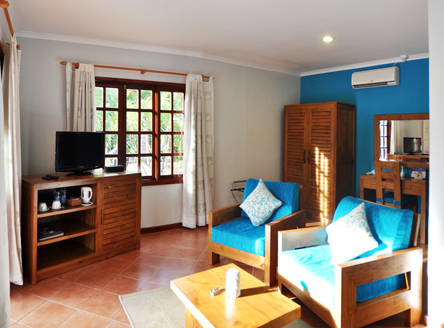 10 air-conditioned units, including Superior Rooms (20m²) and Junior Suite (30m²); with shower, ceiling fan, mini bar, tea/coffee facilities, telephone, TV, sitting area and terrace. 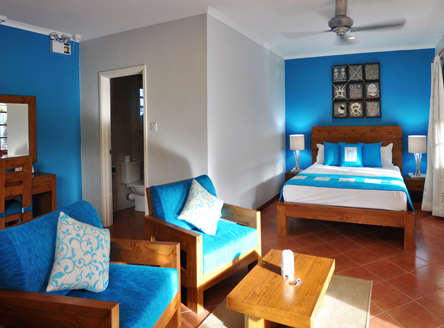 Junior Suites are large enough for a family of four. Some inter-connecting rooms also available. 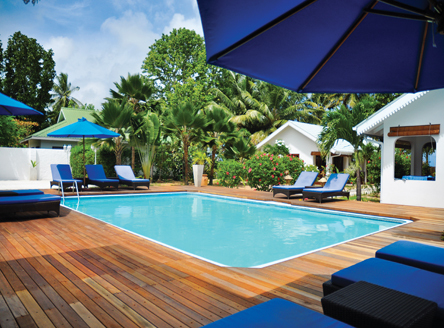 8 nights from £1638 per person on Bed & Breakfast in Superior Room, including return flights from London, return inter-island flights from Mahé to Praslin and all road transfers. Supplements for Junior Suites and other meal plans available on request. 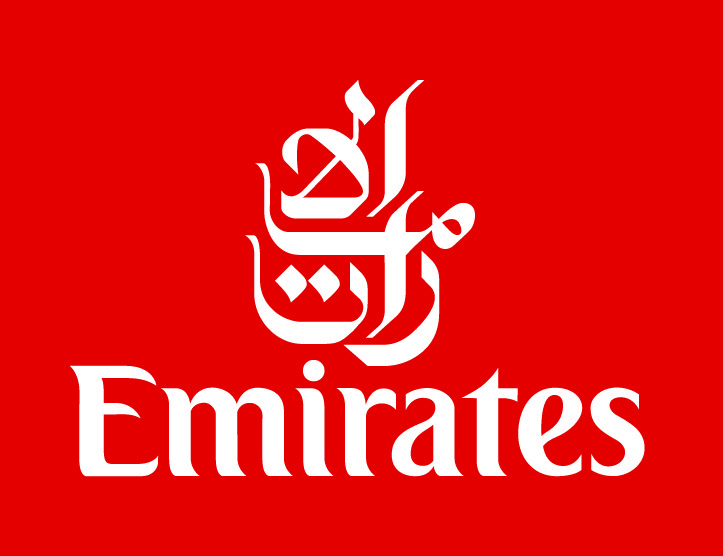 Includes Stay 4 Nights, Pay 3, Stay 5, Pay 4 and Stay 6, Pay 5. 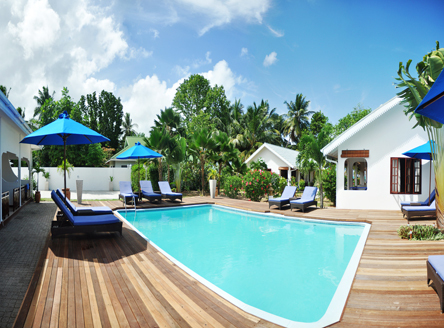 Also available: Stay 8 Nights, Pay 6 and Stay 10, Pay 8. Valid for various dates. Please call for further information. Applicable for both room categories. Not combinable with other offers. Special discounted rates for bride & groom on B&B basis - saving 14%! Offer valid: All year except 20 December to 5 January. Minimum Stay: 3 nights. Not combinable. 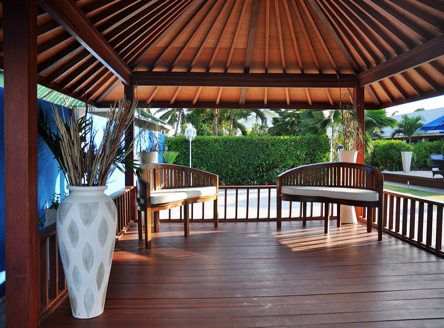 Friendly and informal with very comfortable accommodation. 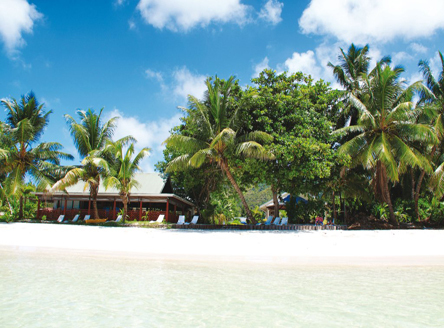 Beach maybe prone to seaweed between May and October but the hotel offers free transport to Anse Lazio or Anse Volbert beach on the other side of Praslin Island 3 times a week. 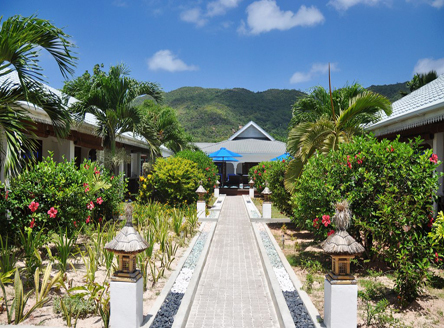 "For a really Seychellois experience kick off your shoes and dine in comfort at the beach restaurant for excellent Creole and international cuisine."